MANILA, Philippines - The rumor that circulates online starting mid 2012 has ended today. Asian Pop Superstar and Romantic Balladeer Christian Bautista, a home-grown talent of ABS-CBN for 10 years officially transferred to GMA-7 or the 'Kapuso Network'. Though it's a major decision career-wise, singer-actor formally bids goodbye to his ASAP 18 co-artists. A three-year guaranteed contract was signed by Bautista held at GMA Network office at Kamuning, Quezon City with the big bosses of GMA. Felipe Gozon, the network CEO happily announced that finally Christian is now an official 'Kapuso'. According to sources, the main reason for his transfer is the opportunity to join 'Eat Bulaga' regularly. As stated in the contract, Christain will appear weekly on the said noontime show. During the past months, he also appeared on 'Eat Bulaga Indonesia', the franchise show from TAPE, Inc.
Christian will also release an album under Universal Records in Indonesia in May. He is also set to do a drama series on GMA. On March 24, 2013, Christian will join 'Party Pilipinas', the rival musical-variety program of ASAP18. There is rumor that he will replace Ogie Alcasid if the latter will transfer to TV5. Fans are disappointed with Christian's decision of transferring to Kapuso network. Many believe that once a singer from ABS-CBN transferred to GMA and became part of 'Party Pilipinas', his/her career will be stagnant. Say for example, careers of Rachel Ann Go and Mark Bautista that still have no improvement up to now since their transfer to GMA. TheSummitExpress believes that his stardom is a result on how ABS-CBN handled his career. The network gave an open door to show his talents. GMA can give a lot of shows but the quality is sometimes being sacrificed. With his decision to be part of 'Eat Bulaga' and irregular appearance in 'EB Indonesia', it is sure he will gain the heart of Indonesians. But for the Filipinos, he will regain stardom after some time. We know that Christian's market are those from Class A and B and that's where ABS-CBN dominates. Christian currently holds the "Favorite Male Artist Award" from MYX. Tell us your thoughts for his decision of transfer to GMA Network? 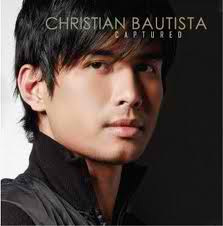 What is your guess on the possible career flow of currently a multi-platinum artist, Christian Bautista as a Kapuso.